Goldcoast Ballroom & Event Center | Don't Miss This!! 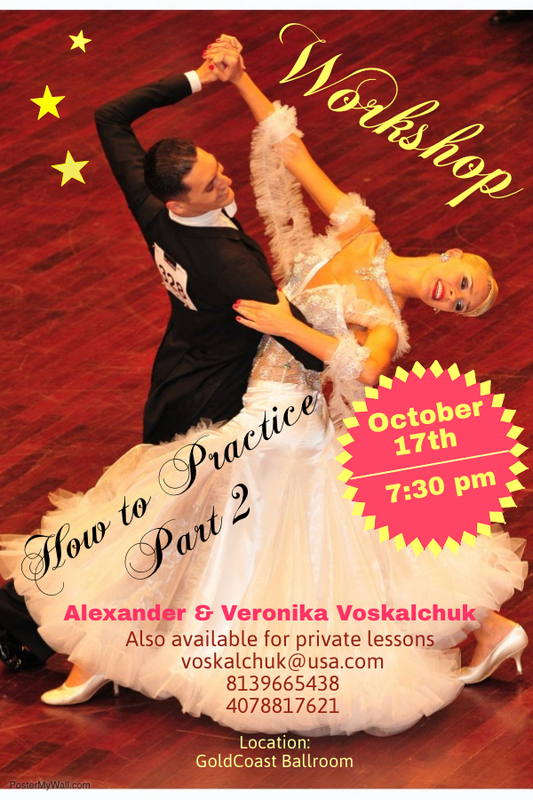 - Wednesday, October 17 - 7:30 PM - Special Workshop - 'HOW TO PRACTICE (Part 2)' - with US Open Professional Champions ALEXANDER & VERONIKA VOSKALCHUK!! - $20 per person; $30 per couple - Also Available for Private Lessons! - Call to schedule! 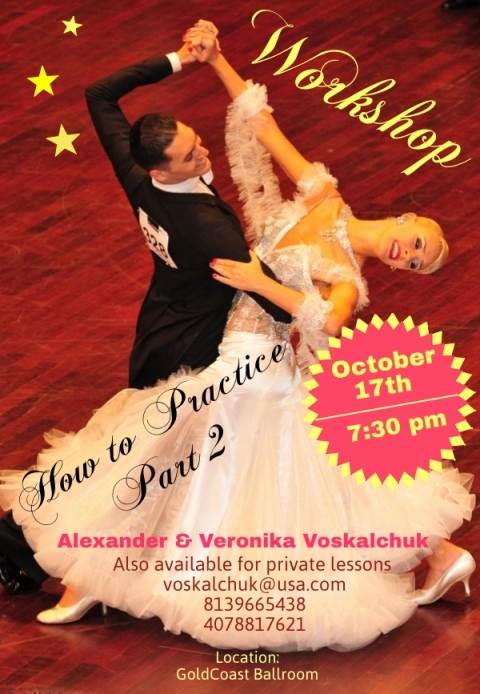 Join us for our workshop “How to practice” Part 2. This workshop will include lots of dancing. If you missed the first part, you can still attend the second part. Good for American Smooth and International Standard dancers.